Serhane Farkhet alias “The Tunisian”, was born in Tunisia in 1969 to a middle class family. In 1994 he moved to Madrid, Spain, and began his studies on a Spanish scholarship. In Spain Serhane Farkhet faced social difficulties to integrate in the western Spanish society and, gradually, turned to Islam. In 1999 Serhane Farkhet even confessed to one of his teachers in Madrid University of having a “personal crisis” . Among other activities Serhane Farkhet became also the treasurer of the main mosque in Madrid. After the invasion to Iraq in 03/2003 Serhane Farkhet became a prominent criticizer of the war and turned to extremism. From 03/2003 Serhane Farkhet tightened his connections with Islamic cells in Europe and especially with an Islamic anti-Semitic cell in Dusseldorf, Germany. That Dusseldorf Cell called itself Al-Tawhid and was a part of Abu Musab al Zarqawi s’ network in Europe. (Abu Musab al Zarqawi was the leader of Ansar al Islam in Iraq). At that time Serhane Farkhet began to think about repayment to Spain for her partnership with the USA in the invasion to Iraq. 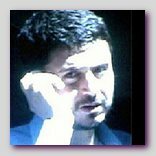 Serhane Farkhet left his apartment in Madrid on 03/08/2004. Three days later he was one of the terrorists that placed a bomb in the morning of 03/11/2004, the Madrid Trains Bombing. The Spanish police is almost certain that Serhane ben Abdelmajid Farkhet was the ringleader of the Madrid Trains Bombing s’ operation and that he, with Rabei Osman Ahmed in Italy, initiated and plotted the Madrid Trains Bombing. It is most likely that Serhane Farkhet was motivated by his frustration of the Spanish role in the Iraq War. ** “Al-Tawhid’ (the Unitarians) is a radical Islamic ideology that there is a unification between Mohamed the prophet and God. Therefore the say of Mohamed are not an interpretation of Gods’ words but the very direct words of God himself.